The epicenter of Gainesville’s retail sector is not only expanding in a huge way but renovating and upgrading, as well. The northern side of Archer Road going west from SW 34th Street to Interstate 75 has long been the destination for the region’s shoppers and restaurant patrons, thanks to the late Clark Butler who developed the stretch of plazas and other retail buildings. Now his daughter Deborah is leading the creation of Butler North – about 750,000 square feet of retail complete with new roads just north of the existing Butler plazas – and the development of the new Butler Town Center. With a new Lowe’s already open and a new Walmart Supercenter and Sam’s Club under construction, 80 percent of Butler North is already leased, which speaks highly of the reputation and success of the Butlers, according to Tad Templeton, director of leasing for Butler Enterprises. “This project over the last 40 years has evolved into the retail epicenter for North Central Florida. It continues to be reflected in the tremendous interest that is being generated and leases being signed — deals that are being done by these best-of-class tenants that are coming into the market for the first time that never really had a venue in the Gainesville and for that matter the North Central Florida market,” he said. Anyone driving on Archer can also see the renovation of stores such as those in Butler Plaza Central plus the addition of new stores in The Shoppes at Butler and new places to eat in Restaurant Row at Butler Plaza. Butler, president of Butler Enterprises, said they have already upgraded more than 90,000 square feet. “All the older businesses are upgrading, a process that started several years ago,” she said. She expects Regal Cinemas to modernize its Cinema Stadium 14. But the real excitement for shoppers are the new stores and new locations for other stores moving to Butler North. “One of the things we’ve been priding ourselves on is being able to bring some new tenants into the market,” Templeton said. A Maple Street Biscuit Company restaurant, for example, is coming to Butler Plaza West, where Target is the anchor. Butler has built 3.5 miles of city roads and a bus transfer station in Butler North to further facilitate the retail area’s 360-degree access. “No other property in Central Florida has this,” she said. More than 150,000 cars pass the site daily. Another benefit to overall traffic flow will be the eventual completion of the Southwest 62nd Boulevard Connector. The Butlers have been working on support for this project for 15 years, she said. It will link Newberry and Archer roads, providing an alternative to “everyone jumping on Interstate 75,” she said. The next big project for Butler Enterprises is Butler Town Center, which will be built on the site where Lowe’s has been and the plaza with Walmart and Dollar Store. After they move to Butler North, a 350,000-square-foot open air “shopping experience” will be created on what is the most highly trafficked site of the 267-acre development. 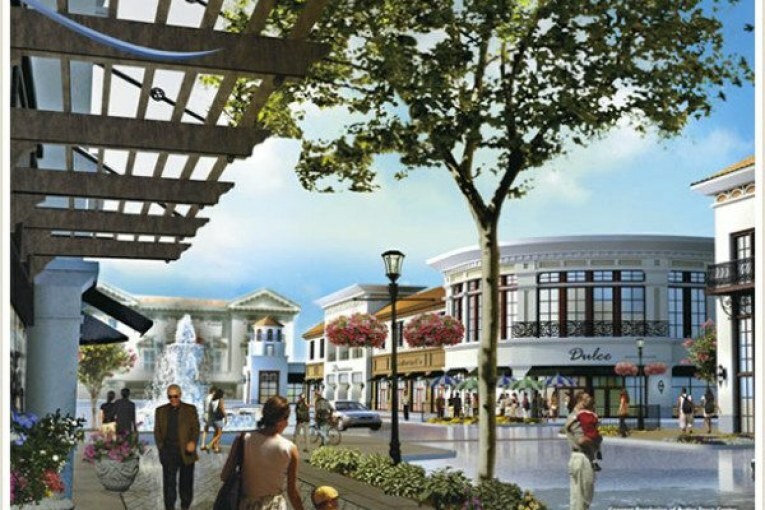 Butler said it will be comparable to the popular St. John’s Town Center in Jacksonville. The site will include a branded hotel with more than 250 rooms. Town Center construction will start in the fall when demolition of Lowe’s and the old Walmart begins. Hotel construction will start later, but it will open at the same time as the Town Center, Templeton said. When complete, the $186 million expansion of the Butler retail projects is expected to create 3,500 new permanent jobs, plus 1,500 construction jobs, with a direct economic impact of $300 million annually, according to a news release from Butler Enterprises.